At first blush, Aperion Cyberstorm is exactly the kind of game that someone might skip over when sifting through a new releases list. The title alone is mildly unapproachable, it has an uncompelling visual style, and it’s competing in an indie game market that’s already chocked full of sci-fi-themed twin-stick shooters. It would be a mistake, however, to sleep on developer aPriori Digital’s self-published outing. While it has many rough edges as a single-player experience, it’s a technically sound game that’s worth exploring if you can take advantage of its incredibly fun multiplayer component. Mechanically, visually, and narratively, Aperion Cyberstorm doesn’t do much to distance itself from the formula of a classic Shoot ‘Em Up. You pilot one of 12 unlockable ships, each varying in speed, defense, and firepower, controlling movement with the left analog stick and firing your primary weapon with the right. Your ship can carry two of the 14 upgradable abilities at any one time, and these abilities can be infused with elemental pick-ups you find along the way. The game has three modes – Campaign, Versus, and Onslaught – all of which can host up to five players locally. Those features may not be a huge break from genre traditions, but it’s hard to ignore the obvious focus that aPriori Digital placed on refining their mechanics. While many twin-stick shooters attempt to ape the fluidity and precision of hallmarks like Geometry Wars, Cyberstorm comes quite close to replicating them. Those smooth and exact controls are combined with a deceptively intricate combat system. You are pitted against a diverse range of enemies that are always coming straight for you, increasing your XP multiplier and dropping gems when they explode. Although they can damage you with bullets, your multiplier only depletes after a direct collision with enemy ships, which means avoiding both their bullets and kamikaze attacks is just as important for advancement as it is for survival. 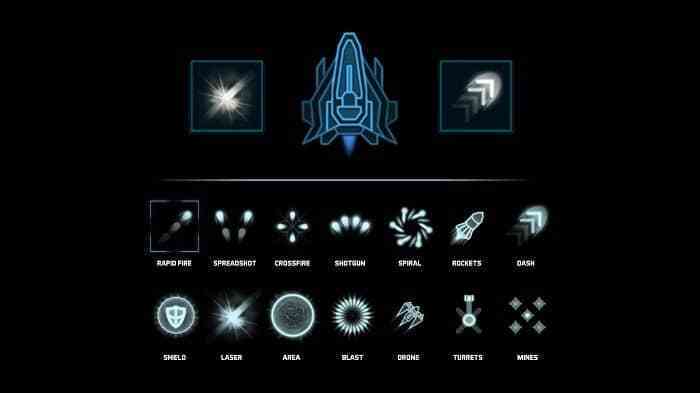 Each of the 12 ships varies in their firing rate, defense, and responsiveness, which allows them to create distinct synergies with abilities that inspire you to shake up your playstyle. Being able to mix and match ships with abilities means that no one ship stands head-and-shoulders above the rest, an important feature in a game with so much focus on multiplayer. Aperion Cyberstorm’s mechanical refinement is impressive, but it also helps to underscore how shallow the rest of the package is. The game’s audio is serviceable, transitioning from upbeat trance to heart-pounding dubstep, but calling its graphical fidelity “underwhelming” would be generous. Cyberstorm is a game in desperate need of art direction. The levels are sparse and lifeless, each one a dark, arbitrarily-shaped room enclosed by white walls, lit only by the color of environmental hazards and flatly drawn neon enemies. None of the visuals are striking or memorable, and the level design often leaves enemies prone getting stuck in the geometry. That’s not to say that every game in the genre needs to look like Nex Machina, but its hard not to see Aperion Cyberstorm’s art style as a huge missed opportunity. That banality isn’t restricted to visual and audio design. The Campaign mode, for example, features a lengthy narrative, taking players through roughly 200 distinct combat arenas, yet it is by far the least enjoyable way to play Cyberstorm, especially in single-player. The game’s story skims you through a very brief opening prologue before strapping you into a cockpit as Kate, a rebel pilot who was betrayed and left for dead by her colleagues while escaping a planetary attack by the Paladin and the SDF, two unified government factions. Yet despite involving rival factions, a rebel insurgency, betrayal, and biological warfare, the narrative is a paltry affair. The characters are one-dimensional at most, and the storytelling could not feel more separate from the on-screen action. It doesn’t help that the campaign is woefully linear, leaving little room or inclination to explore. You simply shoot your way from one room to the next, clearing out increasingly large waves of increasingly challenging enemies, while the game doles out snippets of dialogue that progress the story. 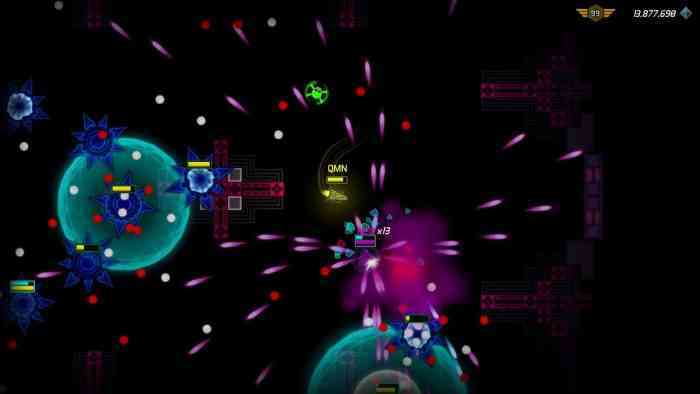 Where Aperion Cyberstorm excels, then, is in its multiplayer. Playing with two people is a delightful romp but playing with a full suite of five plays offers moments of exhilarating chaos. The Campaign and Versus modes use this feature well, but the game’s Onslaught mode is where a group of players will have the most fun. Unlike the slow drip of the Campaign, Onslaught gives you instant access to all ships and abilities from the jump and tasks you with fighting waves of enemies, ranging from small insectoid ships to the game’s difficult bosses. Playing the game alone can feel mindless after a while but playing Onslaught with a group is a constant rush that will eat up hours of your time. 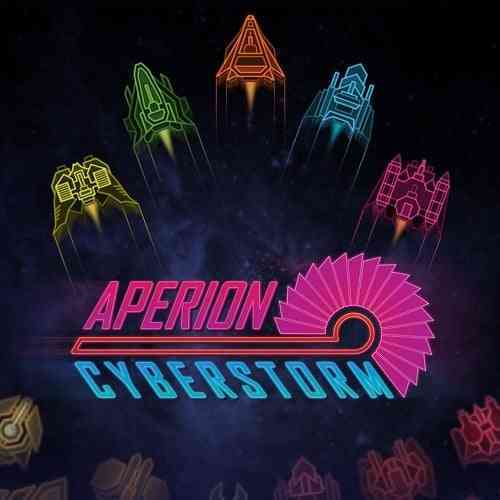 Aperion Cyberstorm is meant to be played with friends. As a solo experience, the game’s lifeless art style and ubiquitous play style won’t win many people over. 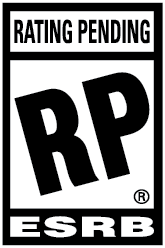 But as a local co-op experience, it’s an exceedingly fun spin on the genre. If you’re looking for a great single-player game, you should look elsewhere, but if you have had a handful of friends willing to play with you, this one is definitely worth a try.